Standard - £120.99 Only 6 left! Have you ever wanted to grab that special girl’s hand, but were nervous about it? Your hand starts sweating. You wipe it on your pant leg. And she moves her hand away from the perfect hand holding place. Your buddy suggested watching a scary movie, or just manning up, and taking her hand…if she wants. And that I your struggle. You are nervous because she hasn’t taken your hand yet either. 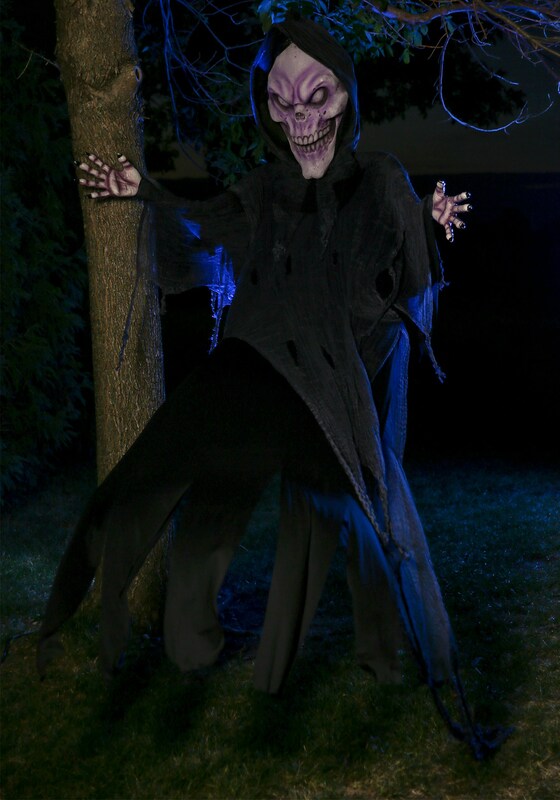 When you hang this big guy at your door, you’ll be able to sing Baby take my hand, don’t fear the reaper! as she grabs YOUR hand. Yes, she will grab your hand. You’ll get around the nervousness by letting her take the lead, and all thanks to this 12 Ft Hanging Reaper Prop. Not to mention how awesome it will make your house look in the fall.